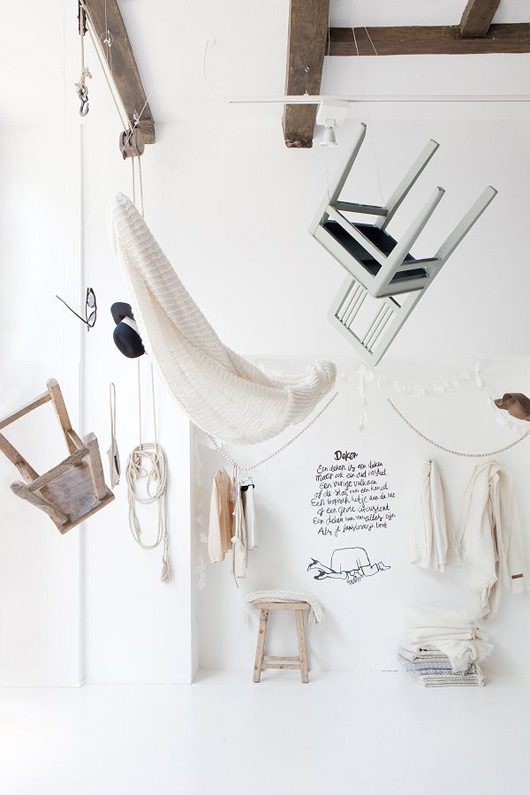 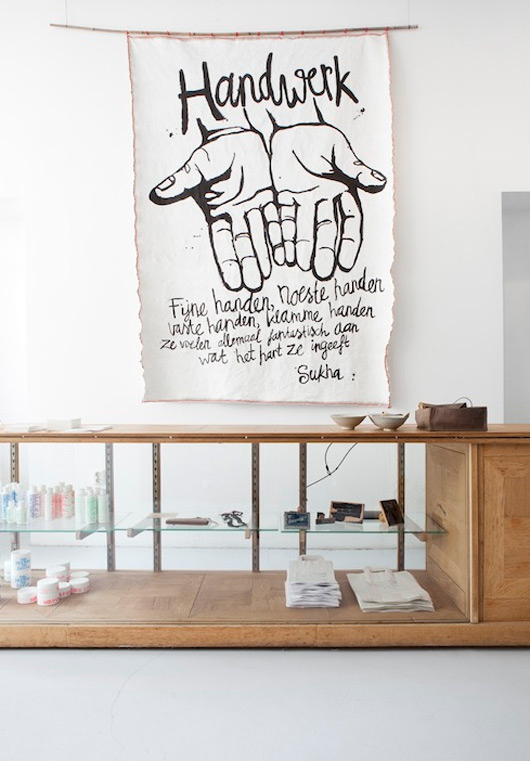 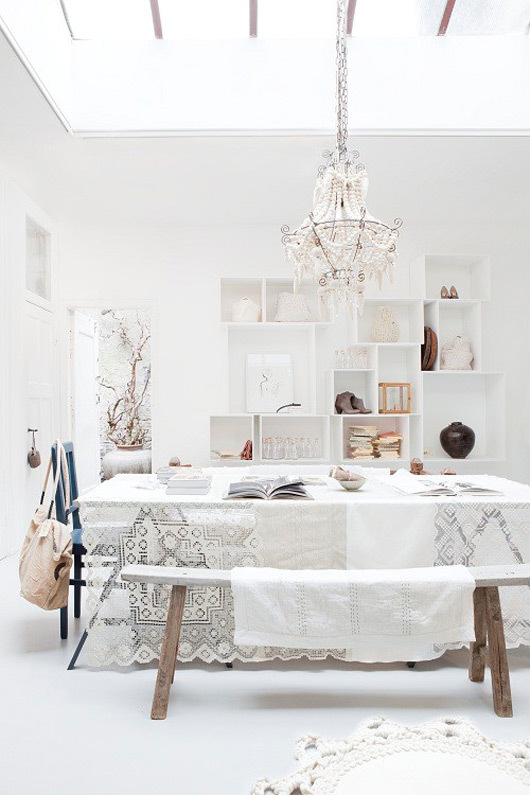 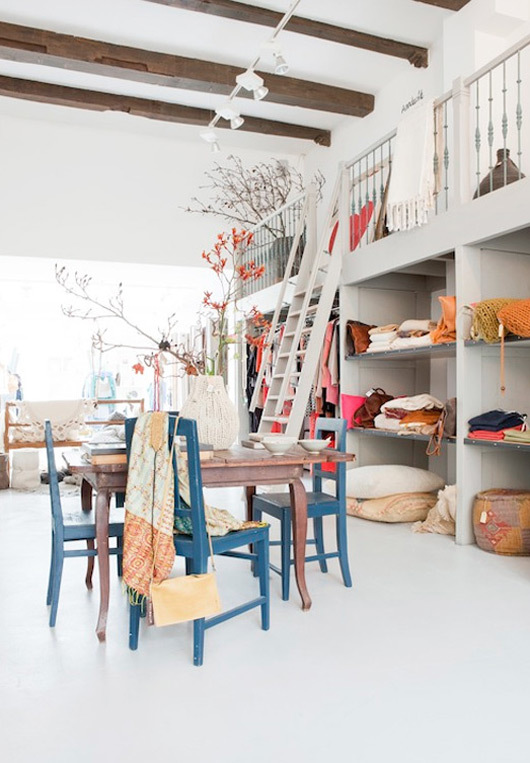 Irene Mertens is the owner of Sukha Amsterdam, a modern concept store located in the popular Haarlemmerstraat. 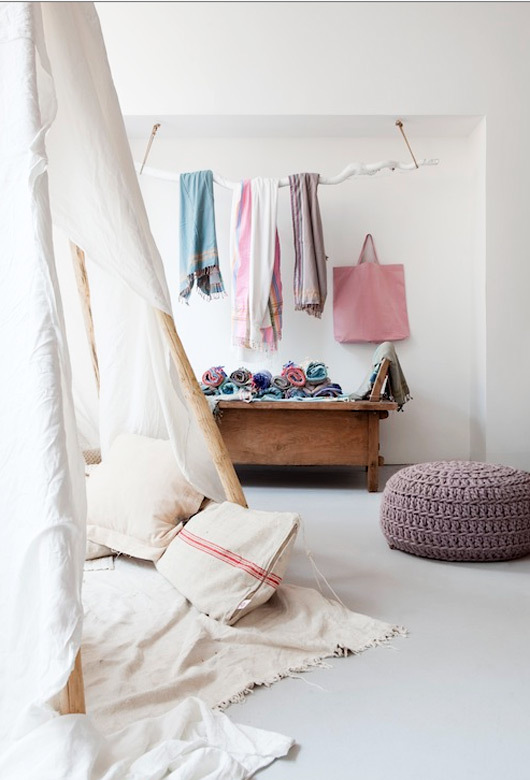 The things are ​​produced responsibly and sustainably, using vintage items — like clothing, furniture, books, jewelry, and unique handmade goods. 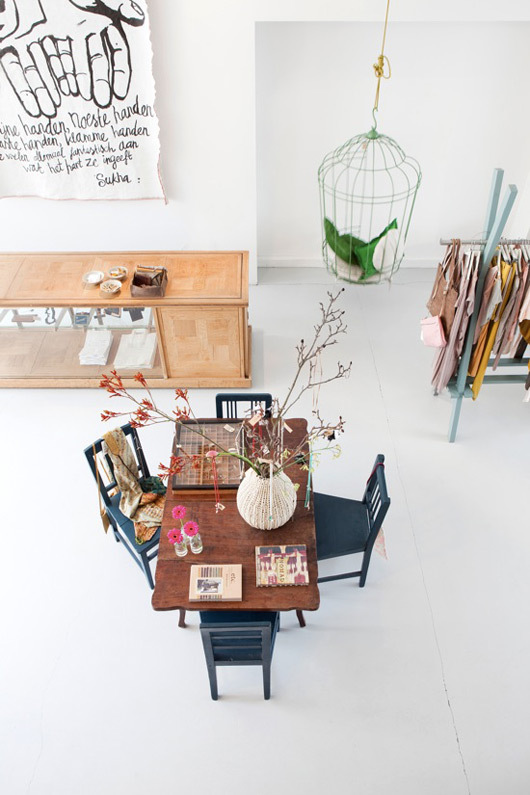 The shop itself has a wonderful interior with its high ceilings, white walls and beautiful grey painted concrete floor. 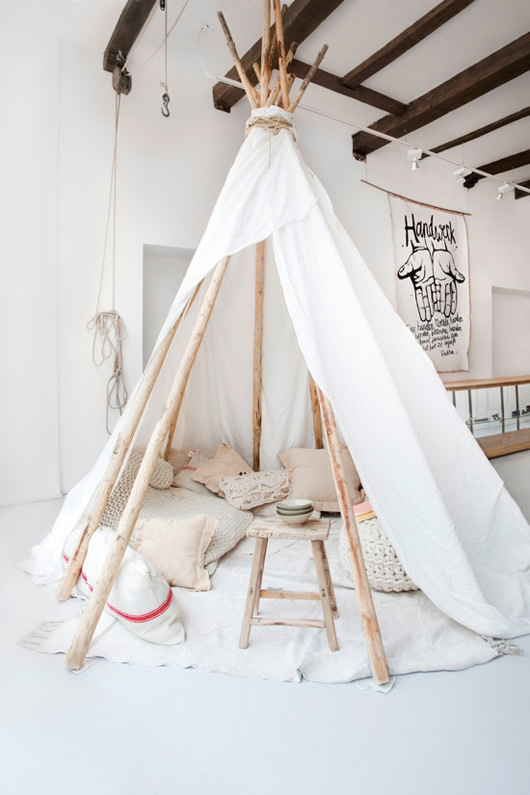 A small piece of heaven… The big white tipi in the shop filled with plaids and cushions is amazing !